The possibilities are endless: the original Recycle Now advertising campaign. A decade on from the launch of the Recycle Now campaign over 95% of consumers are committed to recycling, saying that they actively recycle household items such as packaging according to new research. Undertaken by waste management and environmental PR specialist Pelican Communications, the survey reveals the step change in consumer attitudes to recycling over the last 10 years. When the Waste Resource Action Partnership (WRAP) launched its national TV advertising campaign on 6 September 2004, closely followed by the UK’s first national centrally funded recycling week called The Big Recycle, UK households produced 30.5 million tonnes of waste, of which 17% was collected for recycling*. The ground-breaking ads, which were voiced by comedian Eddie Izzard, highlighted the transformation that occurs when something is recycled and ended with the strapline: “Recycling the Possibilities are Endless”. Today England’s recycling rate has climbed to 43.2%, with some local authorities achieving over 66%, whilst in Scotland rates have climbed to 41.2%. As well as high levels of participation, the Pelican research also shows 70% of consumers have confidence that all or most of the material they put out for recycling is actually recycled, with only 6% saying none or very little is recycled. In addition 70.4% said they would recycle even more if they were confident all of the material was recycled. Of the 1,400 consumers surveyed, an overwhelming 85% believe their material ends up at a recycling centre. However, of these a quarter believes some of their material is either exported or used for energy generation. Whilst a small but significant percentage (17%) of those surveyed also believe their material goes straight to landfill or ends up being landfilled after reaching the recycling centre. ‘Our research reveals the significant change in consumer attitudes that has underpinned the growth in the recycling rate,’ said joint creator of The Big Recycle and Pelican Communications managing director, Michael Bennett. The survey also looked at barriers to recycling and found 23% of respondents said lack of local authority provision prevented them from recycling, whilst 20.7% said it was due to lack of space for bins and 9.2% said it was too much effort. 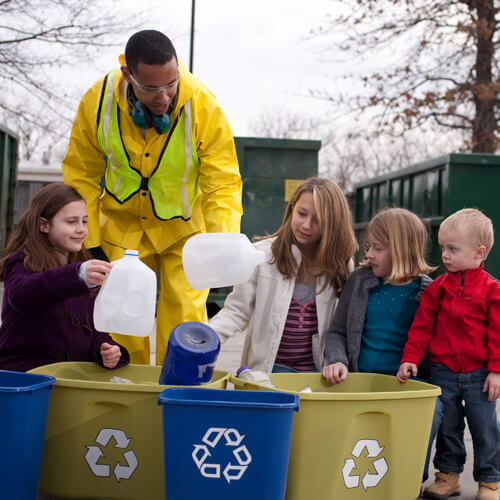 Encouragingly almost half (49.4%) said there were no barriers to them recycling more.